Founder of the first Bantu-language newspaper in South Africa, political leader in the Cape and educator. John Tengo Jabavu was born on 11 January in 1859 near the Methodist mission school at Healdtown district. His parents, though poor, were anxious to give him some education and sent him to the day school. He liked school and put his whole heart into his lessons. It was not long before he became one of the brightest boys in school and only a boy when he took his Teacher's Certificate. He became a teacher at Somerset East and worked hard at teaching, his pupils taking a great interest in their studies. Young Jabavu was of the great assistance to the ministers, especially on Sundays, and it was not long before became a local preacher.He found great pleasure in reading good books and daily newspapers. He apprenticed himself to a newspaper office, and did his work after school hours. He began to write articles, for some newspapers, which were favourably commented upon. This fired his ambition.From 1877 to 1881 he taught in Somerset East, working during the pre-dawn hours as a printer's assistant on a local newspaper. In 1881 he became editor of the Isigidimi Sama Xhosa, which was printed and published at Lovedale Institution. Jabavu found the doors to self-improvement wide open. He took advantage of the school library, became active in the Literary Society and took part in Debating Society. In 1883 he passed the Matriculation Examination of the South African University. In 1885 he married Elda Sakuba. 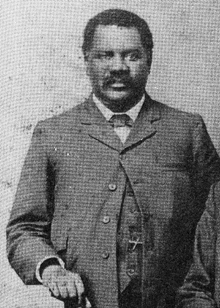 Jabavu made friends with James Rose-Innes, who later became chief justice of the Supreme Court of South Africa. Rose-Innes saw in Jabavu a future great man, and through him and others he found a newspaper under the title “Imvo Zabantsundu” (Black Opinion). This was the newspaper that Jabavu had founded, and become editor of, in 1884. He opened his office in King Williamstown in 1886. Jabavu was then only twenty-four years of age. He put his whole life into his work and soon his paper was known and read throughout South Africa. He became a member of the Wesleyan Conference and took an active interest in the welfare of his people. His wife died in 1900, leaving four sons. Shortly afterwards Jabavu's eldest son was sent to England for education, while the younger one became a teacher in the Cape Province. Jabavu used his influence to argue against anti-African legislation,including the Glen Grey Act of 1894.The lauching in1898 or more calamitously,his support for the 1913 Natives Land Act,Jabavu allied himself with forces clearly inimical to African progress.Jabavu was highly respected by White and Black alike throughout the country. He played an important part in the inauguration of the South African Native College (ultimately Fort Hare). He was also labelled as a champion of women's education as he wanted them to receive equal education to men.Although in good standing with other members of society, Jabavu had already tarnished his image among Black politicians. Through his independent opinion, he was opposed to the formation of the South African National Native Congress (SANNC) and was accused of showing his undivided support for the Afrikaner Bond, which was against the progress of Blacks. He was a known supporter of the Native Land Act of 1913, which did not go well within the circles of the SANNC. Solomon Plaatje once accused Jabavu of being a puppet and trying to serve the master at cost by differing with what the masses were saying.He died at the home of his son, D.D.T. Jabavu at Fort Hare on 10 September 1921. Alexander Jabavu, second eldest son of the late John Tengo Jabavu, took over the editorial of the newspaper.